Caption : Alappuzha,14/08/10. 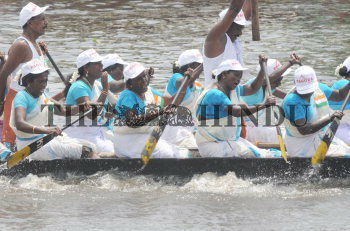 Women rowers are always a crucial part of the Nehru Trophy Boat Race, where they have one category of races devoted to them. Though this category has seen international participation in previous years, this year was all domestic. Photo:H.Vibhu.